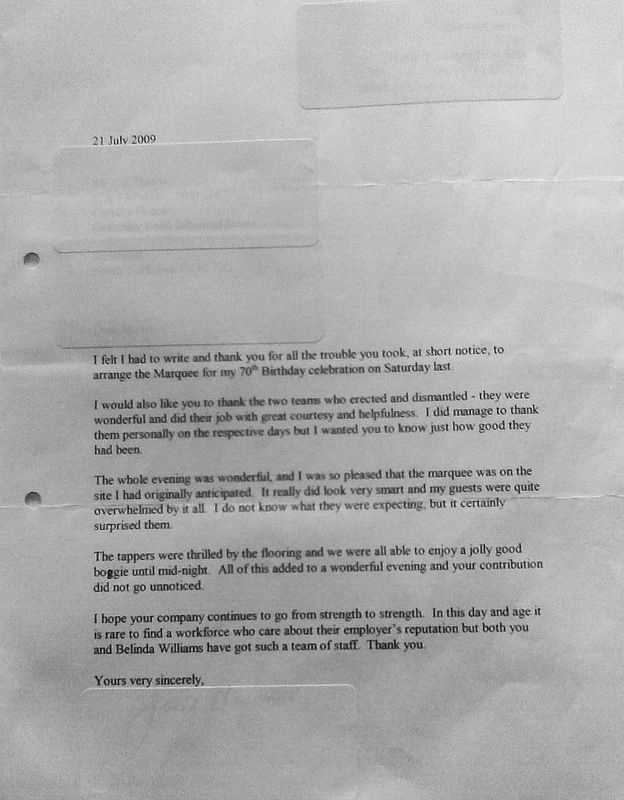 "We first used C&J Rentals for our wedding reception 26 years ago, we were delighted with the attention to detail then and the same is true today providing the marquee and services for our children’s joint 24th and 21st birthday parties in 2010. 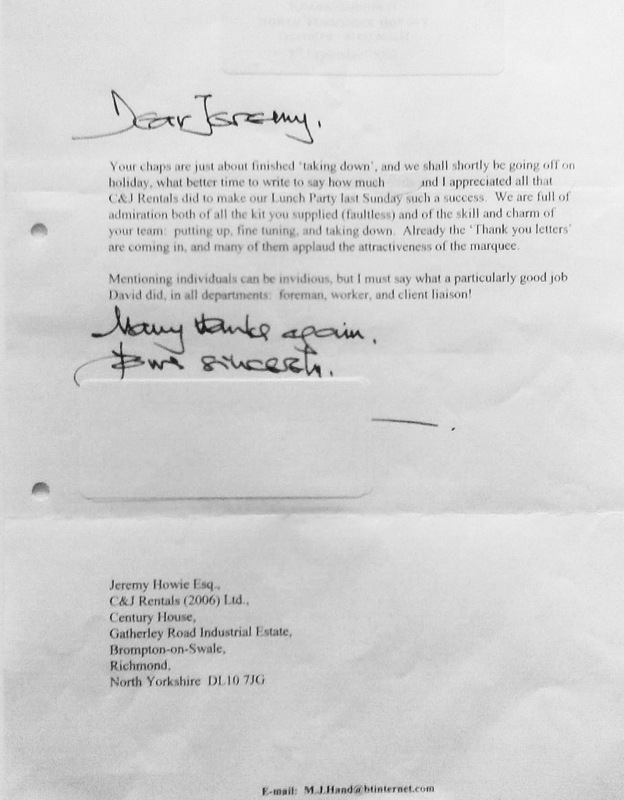 All our requirements were dealt with in a friendly professional way although we must have changed our minds more than once this was never a problem. 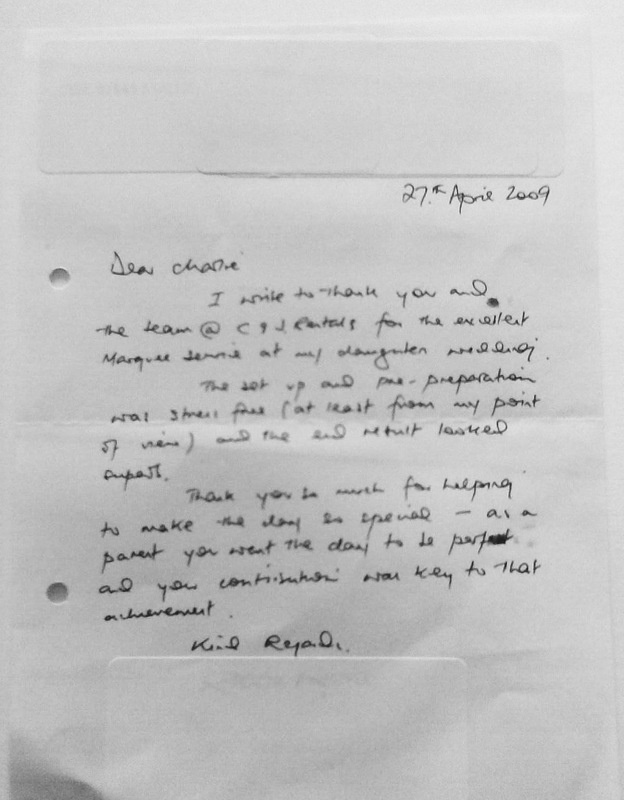 The team who put the tents up were always polite and courteous working efficiently and quietly until the work was complete, again nothing was ever too much trouble. 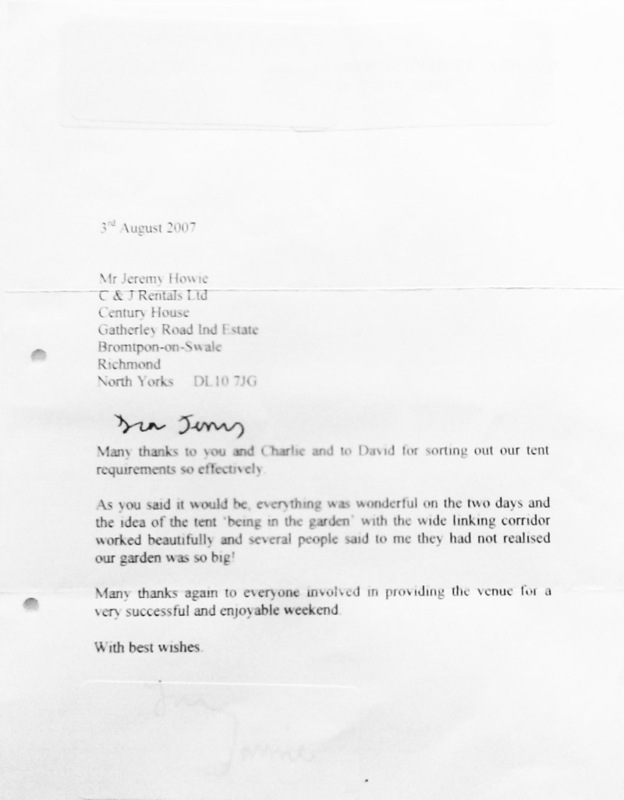 Above all C&J Rentals involvement over the years has always been much more than simply the hire of equipment, it has been a helpful hand in giving us the confidence that we would be looked after professionally which we always were." 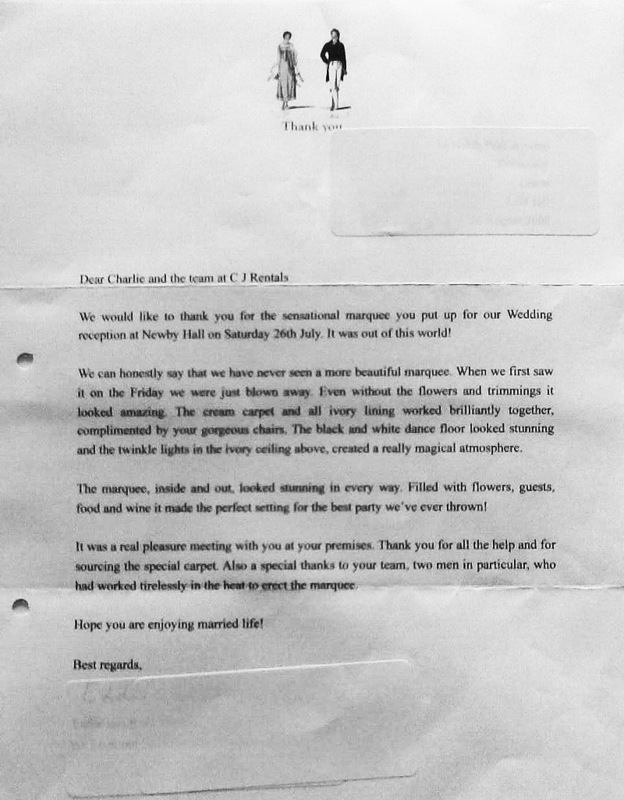 "...we were delighted with the marquee. It was so much more aesthetically pleasing than the normal frame tents and it fulfilled our dreams of having a country style marquee in the beautiful setting. 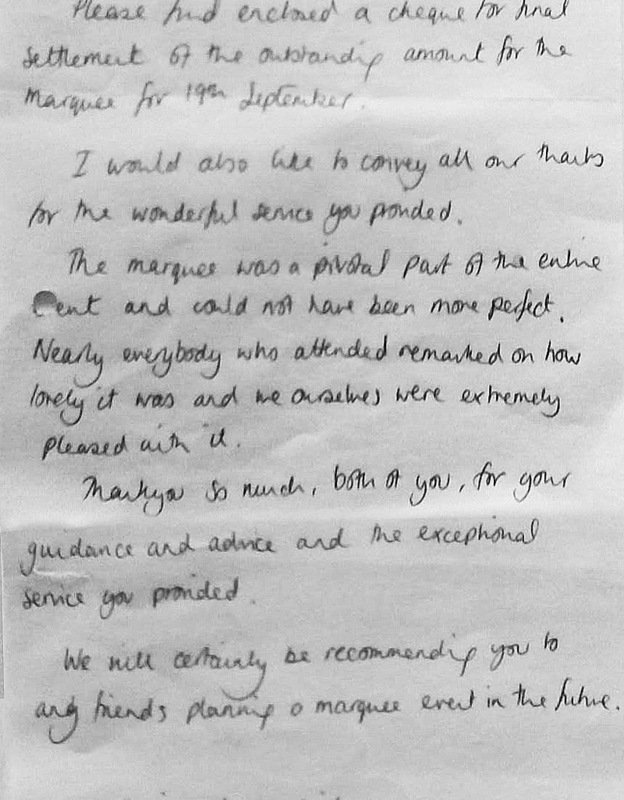 The standard of hiring, carpeting and all the fittings were excellent"
"I can't stress enough how thrilled I was with the marquee and how much I appreciated how hard the men had worked on it and kept all the white carpet so clean! It was definitely the most beautiful marquee I'd ever seen. In fact everyone said the same!"